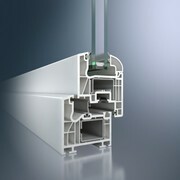 uPVC or rigid PVC is the most frequently used material for windows in Germany. 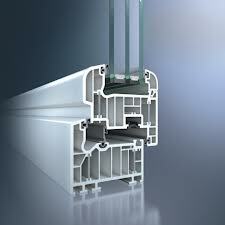 Due to its excellent value for money, low maintenance, and its very good thermal insulation properties, uPVC is often the number one choice for windows and doors in Europe. Download 2019 uPVC PRODUCT CATALOG [pdf 0.7MB]. With high thermal insulation and versatile accessories, Schuco Corona CT 70 has timeless lines, narrow face widths and very effective sound reduction. In a single family home from 1980 with approx. 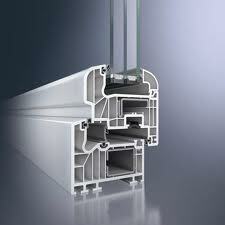 1500 ft² usable area, new windows from the Schuco Corona CT 70 profile system consume about 20% less energy than old windows. Schuco Corona CT 70 is available as a rebate gasket system with two drainage levels and also as a center gasket system with an additional third drainage level. Thanks to three drainage levels and the 5-chamber technology Schuco Corona SI 82 door systems achieve excellent thermal insulation properties. An extensive range of accessories ensures a high level of system security. 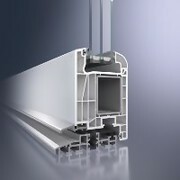 With its outstanding thermal insulation properties, the Schuco AluInside energy-saving window provides both exclusivity and a sense of well-being. Schuco AluInside energy-saving windows allow you to save up to 33 % of your previous energy requirements when replacing your old windows with new ones. In the case of a traditional single family home, that can be as much as 380 gallons of heating oil per year. At the same time, you help the environment by reducing CO2 emissions by approx. 10 thousand pounds. Energy costs continue to rise - there is nothing you can do about it. You can, however, do something to stop your energy consumption from spiralling. Have you already checked your home insulation? In particular, windows that are more than 20 years old often leak. A considerable proportion of the costs can be saved with efficient insulation. 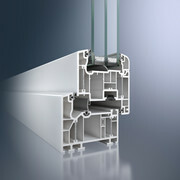 As much as 80 percent with Schuco windows - thanks to state-of-the-art technology. Schuco windows stand not only for progressive functionality but also for comfort in the home and visual appeal. Design your windows to suit your taste. Discover our comprehensive selection of fittings, glazing beads and handles, and be inspired by the wide choice of colors. 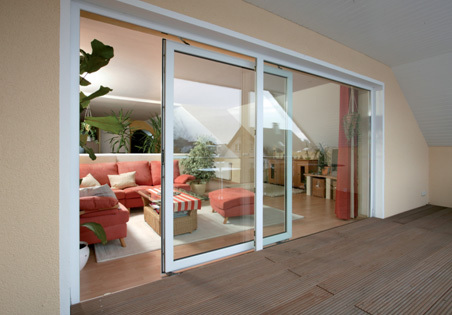 uPVC front doors have outstanding thermal insulation properties. They easily meet the statutory thermal insulation values due to the proven multi-chamber profile technology. uPVC front doors also have a very attractive cost/performance ratio.